WARNING: THIS IS A SUPA-DUPA LOOONNGG POST FULL OF CRAP. DON'T READ. I've been working on this post for months and finally managed to finish it. Yea...I guess I've really got nothing else better to do than 'documenting the decade'. :p It's meant for my own recording purposes only (just in case I lose memory or can be used for my biography if I get famous someday...juz kidding! :p). Not expecting my blog readers to read (if only I have any)...unless you wanna 'kaypo' about my life. I'm glad I started blogging about 3 years ago. To me, this small little space has been a great platform for me to put all my experiences into words. Obviously, my blog is a very personal one...it's all about my life, my family, my friends, my experiences...generally everything that matters to me. My blog doesn't cost a single dime, but it is definitely priceless coz it helps me to remember all the memorable moments that will put a smile on my face when I look back in the future. Memories fade, and that's why we should make an effort to cherish these memories. I guess the past 10 years had been quite a transformational decade for all my peers, especially being a teenager going through high school & college. I can confidently say that I've achieved a lot in the last decade, all the little victories and decisions made along the way had shaped who I am and brought me to where I am today. I admit, I have quite a short memory span, so I'd better take this opportunity to look back at the 10 years that were before I forget more. Dad bought a new house at Tambun so we moved from Penang Island to a whole new environment and started Form 1 at Jit Sin High School. I was originally enrolled in PCGHS but transferred to JSHS with bro. JSHS is one of the 'prestigious' schools in Penang mainly because of the merit-based selection of students from primary education. Back then, I was just an average student trying to adapt to the new environment and making new friends. Won the 'Best Female Athlete' during school sports but I can't recall which individual events that I won. Joined the school band & philharmonic orchestra, and started playing French Horn. Actually I preferred saxophone, but too bad we weren't given a choice. Joining the school band marked the beginning of 5 years of extreme tanning...seriously!! :p I'm trying to find a pic of me in our 'sailormoon' uniform and French Horn but I have totally no idea where is that classic pic, so I'm substituting it with something even better...a video!! Managed to get into 'A' class because of the block system. Was appointed as the class monitor for 2A2. Didn't really do well in studies though, remember that I almost failed my math test...haha! :p Band practice still took up most of my time during the year especially when we were preparing for the Penang state-level Band Formation Competition. Attended a one-month synchronize swimming workshop during the year-end holidays. I didn't continue with it after that, but at least I learnt how to swim butterfly stroke. Basically, high school life was kinda monotonous but I had no complaints about it at all. When we were in the afternoon session, we spent our mornings attending tuitions or co-curricular activities in school. After school, we'll just go home and do homework. That's how we spent our weekdays...haha! As for weekends, we'll go over to Penang island where I had my piano and ballet lessons. This was taken in 2005....Grade 8 ballet exam dances. Mom took videos of almost every grades but the quality are a lil' inferior so I chose to share this instead. Dad & Mom took us for a trip to HongKong at the end of the year. That was my first time going overseas (apart from Singapore) and experiencing winter. HK Disneyland wasn't opened yet back then. It was a nice trip but I don't have any pics with me to share. My medal collections over the years. I can't find any of my competition pics though. My weakest subject had always been Chinese. Chinese is my mother tongue, my first language, and I was chinese educated all the way from primary till secondary! I guess I just wasn't that interested in writing and reading chinese. I can still remember my chinese teacher in form 4 asked me straight in my face why was I good in all other subjects but did so poorly for chinese. Honestly, she was right but I had no answer for that...I wished I can get an 'A' too, but I don't know how...studying more didn't help much anyway. Classmates for 2 years - 4C1 & 5C1. We've all changed a lottt...blame that short hair school rule!! Honestly, I tried my best to balance and achieve in different aspects with a purpose in mind. I know being a fraternal twin is special...but it'll be even better if we can achieve something 'big' together and make our parents proud. My outstanding bro won the Model Student award in Std 6 and Form 2...I knew Form 5 was gonna be the last chance for me to buck up and accomplish this 'mission'. Fortunately, I managed to be on par with him and both of us was selected as the Male & Female Model Student of the year! 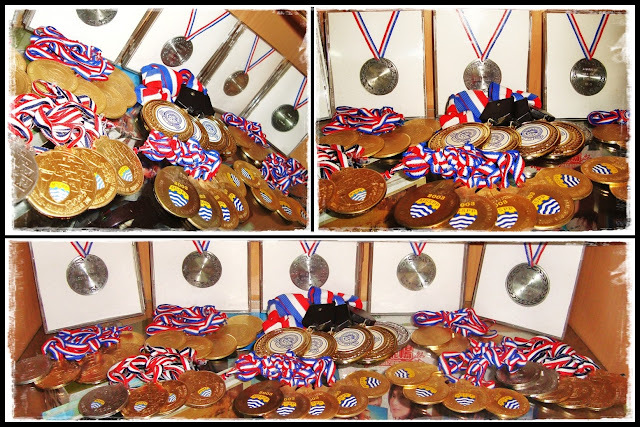 :) Of course, I didn't achieve all these alone, I owe a big thank you to my family, teachers, and schoolmates. One of the highlight for this year was the release of SPM result...the 'big' exam that decides our future...well not really. Bro & I both got 11As...I was very happy that I finally got an A for Chinese!! A2 was good enough for me but as usual, it's the 'outstanding' one from other subjects. We appeared on front page of The Star newspaper!! Erm...we've got nothing to do with 'Labour Offer'. In May 2005, mom & dad took us on an awesome trip to West Coast USA!! Went to LA, San Francisco, Las Vegas, and Disneyland!!! We also stopped by Taipei for 3 days on our way back from USA. Started college at TAR College Penang during the 2nd half of the year. College life was pretty dull during my first year...basically just went for class then back home. I joined the Community Sociology during the first sem and led 50 students to organize activities for the villagers. Looking back, it was a stressful, tiring, but yet enriching experience that I really treasure till now. Penang branch swimming team. Whoops...sorry guys for using this pic! Dad & mom brought us on another trip this year...this time to South Korea! :) It was my first time seeing snow, ski, ate Kimchi...very beautiful scenery!! Completed diploma in Penang with a distinction and book prize. :) Moved down to KL for advanced diploma with a great start. Was lucky to be appointed as the course rep and chairperson for the Financial Accounting Society. Oh yea...this was also the year I started blogging...so most of things that I've done was already recorded. Diploma convo on chinese newspaper. This is no doubt the best year that I had in these 10 years...seriously!! 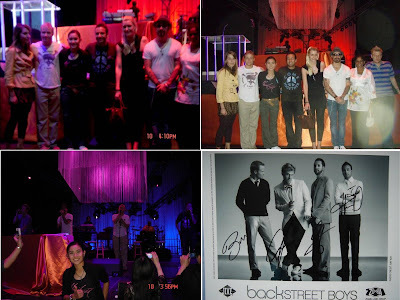 Started the year with a blast...won a FREE trip to HAWAII to watch BACKSTREET BOYS in a private event!! Went for 3-months internship in PWC Penang. Traveled to Phuket with my family. Got the UGRAD scholarship to study in US for a year...absolutely awesome once-in-a-lifetime experience! :) Met lotsa awesome people and had chance to travel around US. Ain't gonna say much here coz everything is in my previous posts. Started the year with countdown at New York Times Square...almost froze ourselves! :p First half of the year was still in US and traveled a lil' more. Met up with scholars from other countries in DC. Came back from the States in May and got back to college for 2nd year of Advanced Diploma...no more fun just studied for ACCA most of the time. Went on a trip to Bali with family!! :) Went to Singapore with Rae & Josh. UGRADers from 18 countries in DC. Completed advanced diploma in TAR College. Currently doing a 3-months' summer program here in UK. Life's pretty good here. :) Planning to travel a pretty good bit within this 4 months so stay tuned for more updates! Reflecting on all the things that I've done and achieved, I could say that I have had the ride of my life and I believe that there are more great things to come. It's always easy to get carried away by success and fame, but I'll always remind myself to keep both feet on the ground and never ever take things-for-granted. Loved your high school post, bring back lots of memory. I know you more thru this blog! Thanks for sharing.